VOSS Therapy Services is headed up by Dianne Perrett-Abrahams, Director and Psychologist. All aspects of crisis intervention, including Trauma recovery. Confidence and esteem issues including social skills building and assertiveness training. Workplace bullying, Workplace Stress and all aspects of WorkCover. Pain Management and recovery from trauma injury and disability. Marital counselling, separation and divorce recovery. 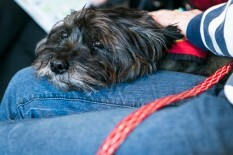 Research shows that interventions utilising associations with therapy dogs can temporarily affect the release of various neurotransmitters in the brain; levels of oxytocin (a hormone in the brain linked with bonding and social recognition which may be involved in the formation of trust between people and the capability of generosity), and dopamine (involved in the reward-motivation system) are increased, while cortisol levels (an immunosuppressant associated with stress) are decreased. 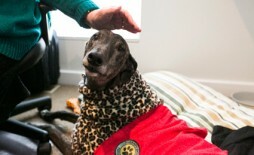 Therapy dogs are utilised in all aspects of patient treatment in this practice and are beneficial in the therapy process of psychology treatment with patients in general, however, they are especially therapeutic in the treatment of Trauma, PTSD, and selected patients suffering Autism. 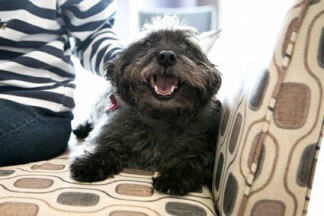 In Memoria for Teddy – Our pioneering and trailblazing Therapy Dog. 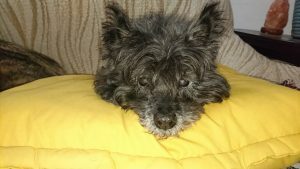 TedEBear was his name, Cairn Terrier was his breeding, intelligence was his mind, strong and loving was his personality, loyal was his entire being. Our wonderful Therapy Dog who came to us as a rescued dog at 11 years of age, who learnt his craft with skill, compassion and humour and gave his all up to the last three days of his life before he died at 17 years of age. He loved his work and he loved his patients and they in turn loved him. He lives on in our hearts and our memories and we miss him still. Thank you, Teddy you are the yardstick, that all therapy dogs should be measured by. 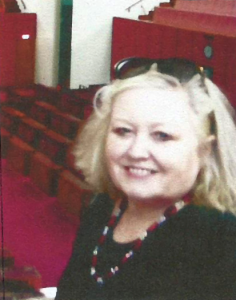 Dianne Perrett-Abrahams is an experienced forensic and health psychologist with 29 years in private practice. She offers services in workplace law, compensation, injury and trauma. She was an Australian of the Year finalist 2010 for clinical services.